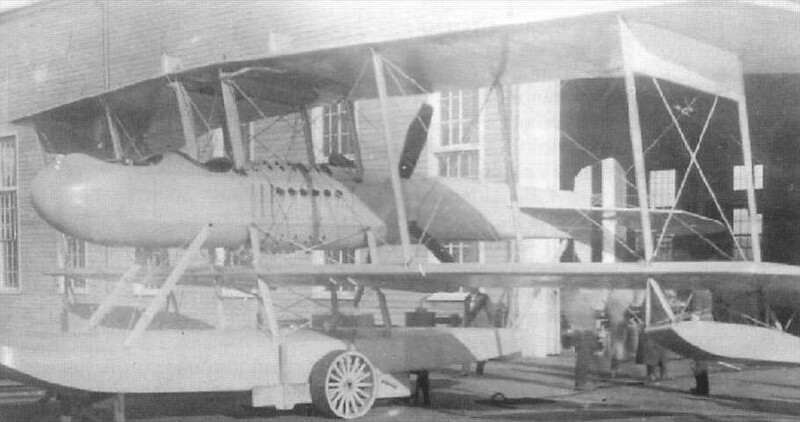 AN UNORTHODOX SEAPLANE: The Gallaudet D.4, as used by the U.S. Naval Air Service. The outstanding feature of this machine is that the engine - a 400 h.p. Liberty - is located inside the fuselage (between the planes) and drives through an ingenious system of gearing a propeller mounted on, and "dividing," the fuselage itself. This machine has a span of 46 ft. 4 ins. and an overall length of 33 ft. 5 ins., its speed being 126 m.p.h.